The first article in this week's newspaper talks about puffles flipping for tricks. 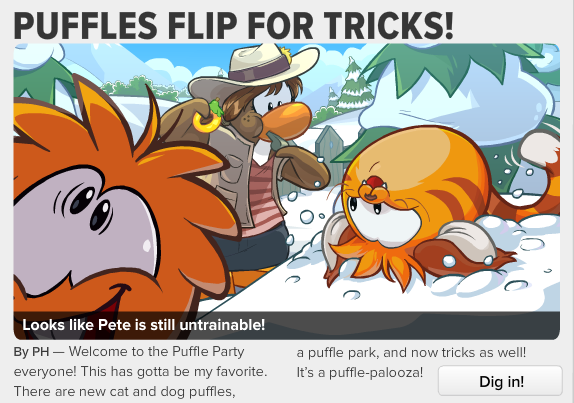 You can now enter the Puffle park where you can see your Puffle do flips and tricks! 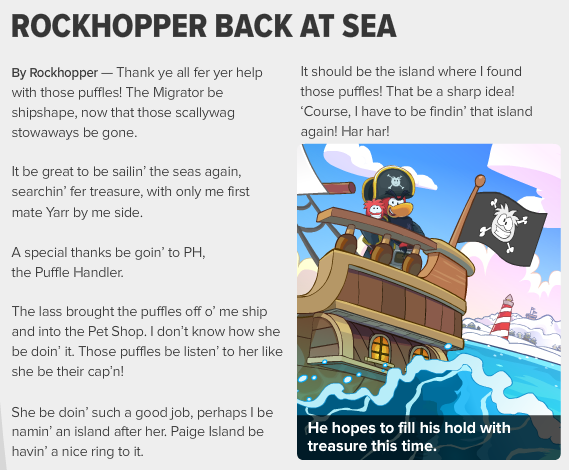 The second article in this week's newspaper talks about Rockhopper sailing back to Rockhopper Island. Rockhopper would like to thank us penguins on helping him get the puffles out of ship! You're welcome, Rockhopper! On Now - Puffle Park - Grand opening! Bring your puffles! May 1 -Special Event - Funny Hat Week at the Dock! 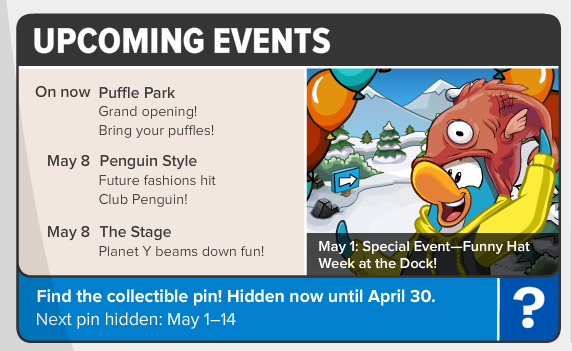 May 8 - Penguin Style - Future fashions hit Club Penguin! May 8 - The Stage - Planet Y beams down fun! I'm so glad that the Puffle Party is now on! Will you be adopting a cat puffle or a dog puffle, or both? Leave your comments below!